It came to James Adducci out of nowhere in March. Tiger Woods was going to win the Masters and he kept faith in Tiger. What follows is a story as outrageous as Tiger Woods comeback. No, it’s even crazier. It doesn’t even seem possible. You see, William Hill is paying out $1.19 million on Monday, the most the bookmaker’s U.S. division has ever paid out on a single golf bet. And it’s paying it out to the 39-year-old Adducci, who says this was his first ever sports bet. He said the only other wager he had placed in his life was with the now defunct site Tradesports that Arnold Schwarzenegger would win the 2003 recall election for California governor. Yes, Adducci said he won that bet too. Three different large Las Vegas sportsbooks confirmed independently they have no record of Adducci ever placing a sports wager previously at their properties. It was the third sportsbook Adducci said he had visited that day. 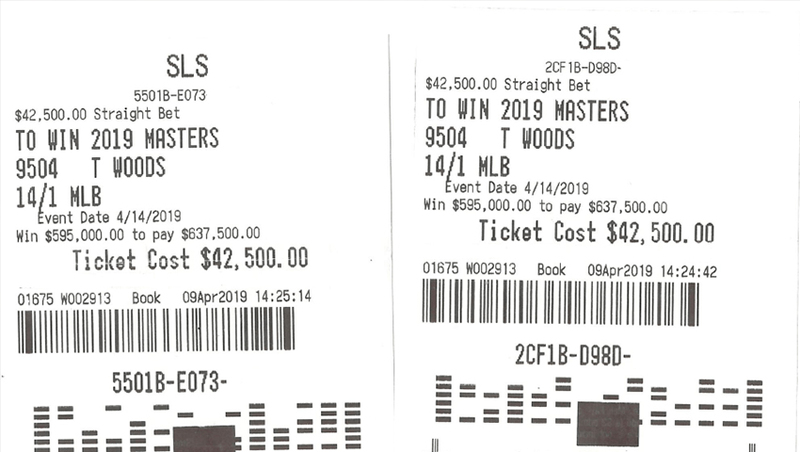 One sportsbook said the max they’d let him bet was $4,000. Another, the Westgate, set the max at $10,000. He passed on both offers, hoping to put the lump sum down at one book. 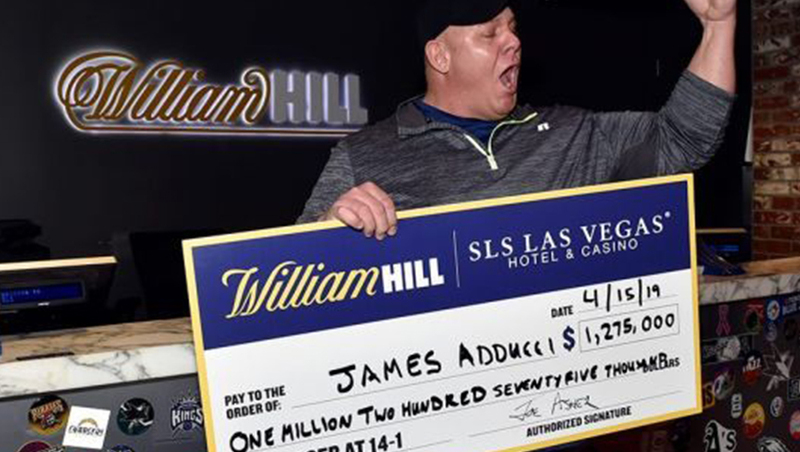 While Adducci waited, the call came into Nick Bogdanovich, the director of trading for William Hill U.S. Could they take this $85,000 bet at 14-1? It was above Bogdanovich’s pay grade, he said, so he called William Hill U.S. CEO Joe Asher. The answer? Yes. Adducci said he would be back. He says he went to a local Walmart and a bought a backpack. He said he then went to a local bank, to pick up the cash he had requested. James Adducci said he handled the $85,000 in cold hard cash and put it into his backpack. He then took an Uber back to the SLS. Not thinking, he said he hit POOL on the app. So with $85,000 in his backpack, he shared a ride with a mother and a daughter who he said were wondering aloud how they would pay for life ahead. It was a weird feeling. He said that on Christmas Day 2018, he was $25,000 in debt, claiming that his protein supplement business had gone bust after a supplier didn’t fulfill its responsibilities. Whats your largest income from bets? Share it in the commenatary section! he's not human, he's a Superman!